The house mouse (mice) is a small rodent, characteristically having a pointed snout, black somewhat protruding eyes; large, sparsely haired ears, and a nearly hairless tail. House mice are considered among the most troublesome and economically important rodents in the United States. Primarily nocturnal animals, mice compensate for their poor eyesight with a keen sense of hearing, and rely especially on their sense of smell to locate food and avoid predators, such as cats, wild dogs, foxes, birds of prey, snakes. Female mice can give birth when they are two months old and are able to have babies 6 to 10 times per year. They live in a wide variety of hidden places near food sources, and construct nests from various soft materials. Mice have to build their homes near sources of food because they like to eat 15 to 20 times per day. Mice are territorial, and one dominant male usually lives together with several females and young. House mice cause structural damage to buildings by their gnawing and nest-building activities. In livestock confinement facilities and similar structures, they may quickly cause extensive damage to insulation inside walls and attics. Effective control involves sanitation, exclusion, and population reduction. Good sanitation is essential for effective long term control. 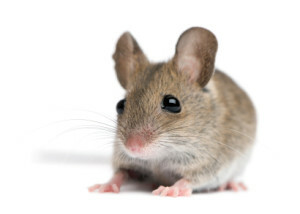 Mice can enter any opening larger than 1/4 inch, making it virtually impossible to completely mouse proof a building. The control of mice can be widely varied, depending on the individual situation. It may range to covering holes, filling cracks, etc. to baiting or trapping. Please contact Swatter Pest Solutions LLC, for your rodent problems.